Vilnius, Lithuania, a city with an interesting legend and an even more interesting history, has a lot to offer to its visitors. 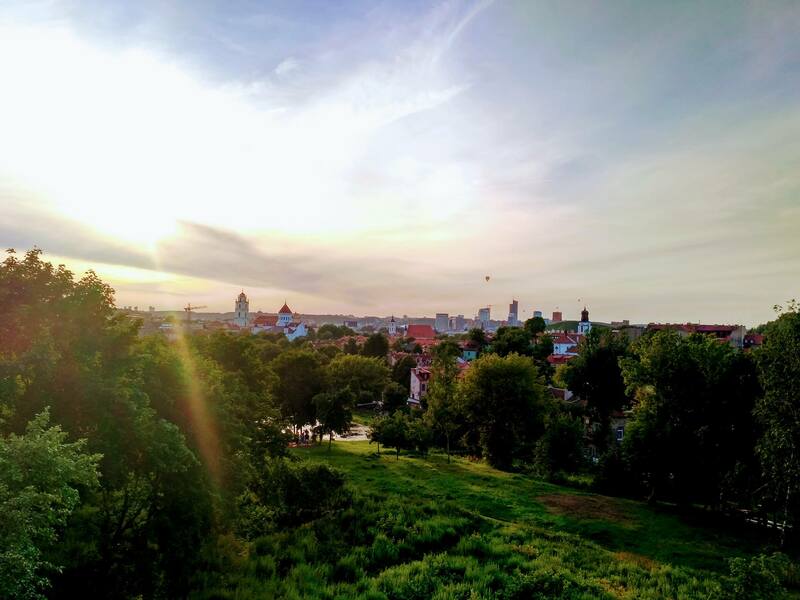 Here are the best things to do in Vilnius according to someone who chose this city over many other, more famous, European cities. 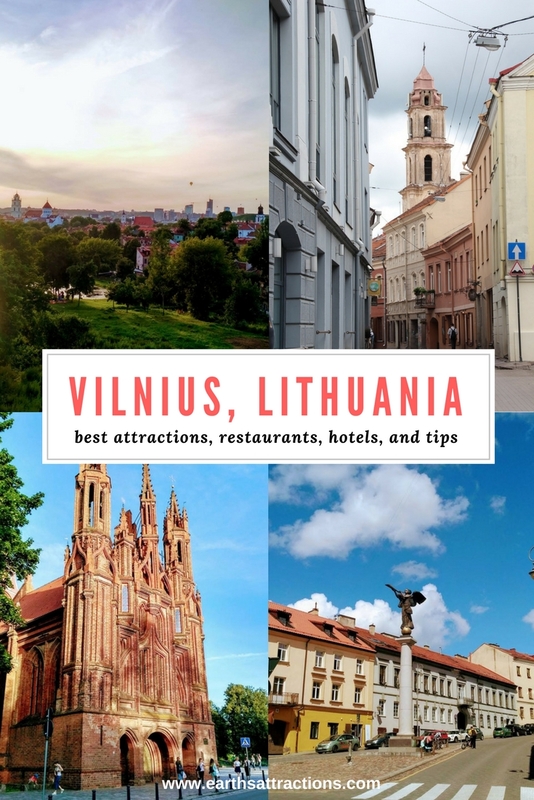 The free travel guides series continues with Vilnius, and the guide includes famous attractions in Vilnius, off the beaten path things to see and do, restaurants in Vilnius, hotels in Vilnius, and tips for visiting Vilnius. 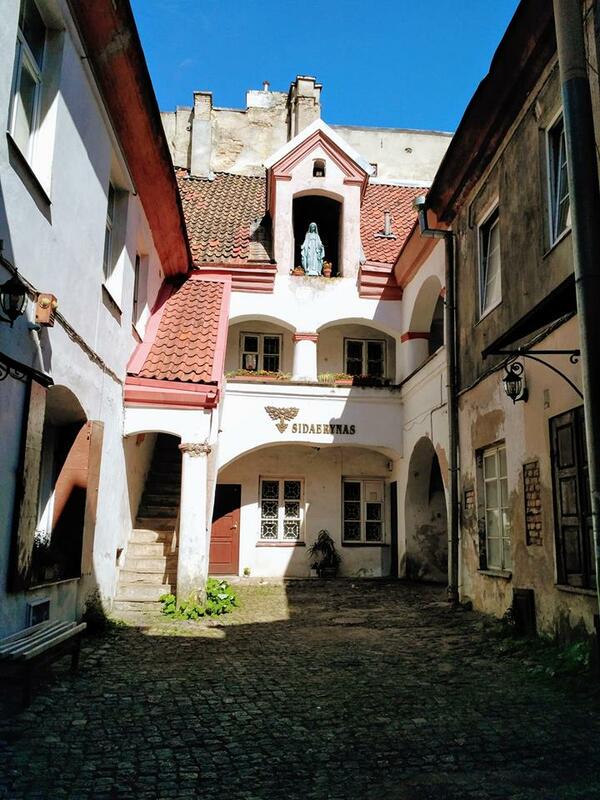 This local’s guide to Vilnius is written by Ana Rozanova from merry-go-round. slowly. Lithuania, and Vilnius in particular, is often called a bridge between East and West, and this description is quite accurate. It is located in the Baltics, and at different times belonged to Poland and Russian Empire. Before the World War II Vilnius was also called “Jerusalem of the North” because of its numerous Jewish population and a high number of prominent Jewish scholars and writers. Even now being the heart and the capital of Lithuania, it still remained a mix of all cultures. On each of your walks through the city you can observe layers of history and the footprints of different times. But enough of those legends! Let us get back to the present. The name of the hill today is the Hill of Gediminas, and you can see the monument of him (and the wolf) right under the hill next to the Cathedral. So, you suddenly found yourself in Vilnius. Lucky you! Where should you go, what should you see? Don’t worry, I will give you a list. This is probably the heart of the city. The Cathedral dates back to 19th century, but the square is buzzing with life. You can visit the Cathedral and the underground passages, or if you like heights, you can climb up the Bell Tower to look at the city. Next to the Tower there is also a special tile, called “the Miracle” (“Stebuklas” in Lithuanian). You will recognize it by seeing some people stepping on the tile and turning around, while they are making a wish. You can make a wish to come here for Christmas. The Christmas Tree is always decorated at the Cathedral Square and usually makes it to the World’s most beautiful Christmas Trees of the year top 10. The Canteen, if you are feeling hungry. It is located right next to the church and is called “the Mortuary” (bon appétit!). Why such a strange name? Well, because it was actually a mortuary in the past. Now, you have to go to see the church to understand why he said that. It is a beauty. Remember, the hill where the wolf was howling? This is the one. Climb it for another great view over the city. The tower on top of it is the symbol and the logo of Vilnius. 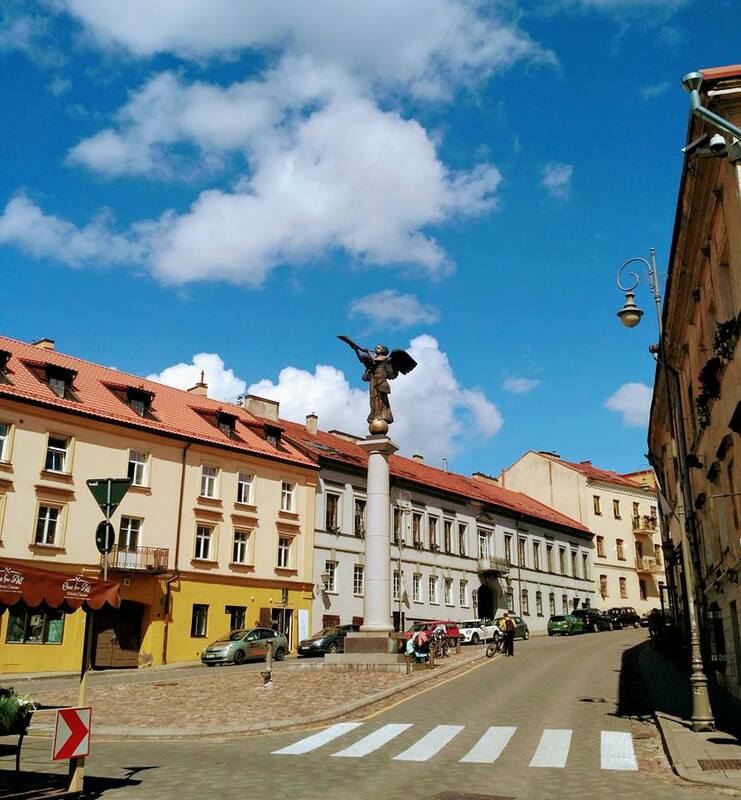 This neighbourhood of Vilnius proclaimed its independence from the city. It can be compared to Montmartre in Paris and the Freetown of Christiania in Copenhagen, but has a unique charm of its own. Uzupis means “the other side of the river”, and Vilnia River is the true soul of this neighbourhood. 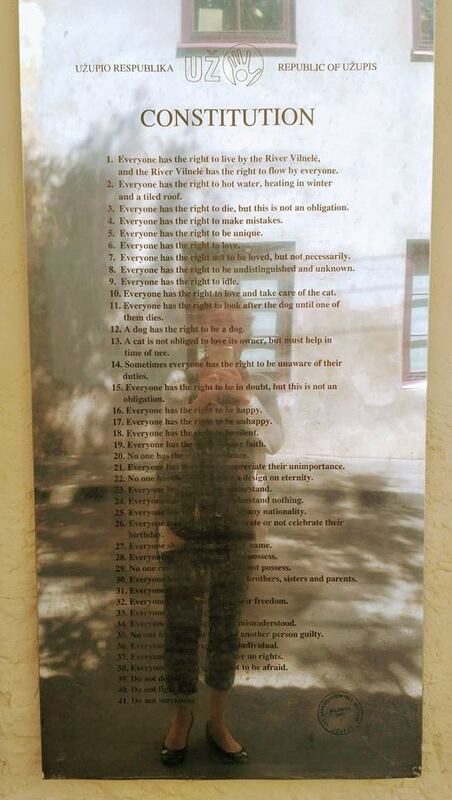 Head there for art, bars and definitely check their own Constitution and the symbol of Uzupis – the Angel. A small quarter composed of the streets Stikliu, Antokolskio, Svarco right next to the City Hall Square. As mentioned, Vilnius Jewish population was one of the most prominent in Europe. Unfortunately, after the Holocaust the number of survivors in Lithuania was extremely low. Walking through the small streets, you can feel the history and the layers of cultures living here before. The most central (and the most beautiful) city park. 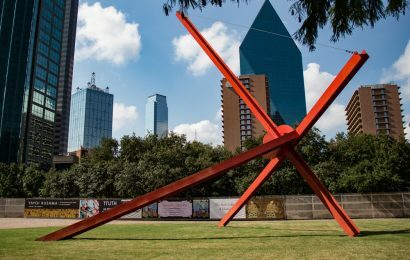 Head there for a picnic, watch the musical fountain performance, let your children play at the playground and enjoy the variety of plants and flowers in the park and special herbal gardens on the side of the park. For those interested in botany, there are actually a small plate with the Latin name of each plan next to it. This is a pure white Catholic church located a bit away from the city centre in the district of Antakalnis. Its interior is decorated with some 2,000 figures crafted by Giovanni Pietro Perti and it is a unique piece of Baroque architecture. Definitely worth seeing – you can spend at least half an hour checking all the small details of the church, until your neck goes sore from looking up. The TV tower is the tallest building in Lithuania, being 326.5 m (1,071 ft) and is located away from the city centre in the district of Karoliniskes. The tower played an important role in the events of January 1991, when unarmed civilians opposed the Soviet military. 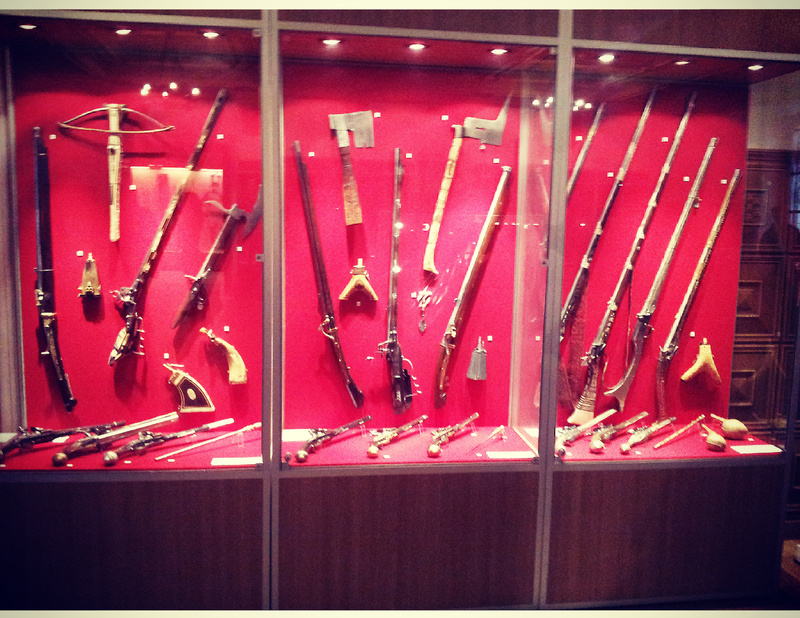 The events led to the restoration of the independence of Lithuania, and there is a small museum on the ground floor, dedicated to those events. I believe that one of the places where you can feel the pulse of the city best is its market. Hales is one of many markets in Vilnius, but it is also closest to the centre and one of the oldest. It is a wild mixture of trendy new gastro-bars and authentic Eastern European market experience. Head straight there, if you want to shop like a local. The largest park in Vilnius, covering 162 hectares (400 acres) and the hub for all things sports. It is a perfect place for running, cycling, Nordic or normal walking, trying all possible strange variations of bikes, scooters and boards, which you can rent in the park. On a warm day it really has it all: nice cafes and restaurants, candy floss sellers, lemonade corners and water fountains. Perfect for a summer Sunday. You have to know at once: Lithuanian food is heavy. It is based on potatoes, meat and endless combinations of these two. 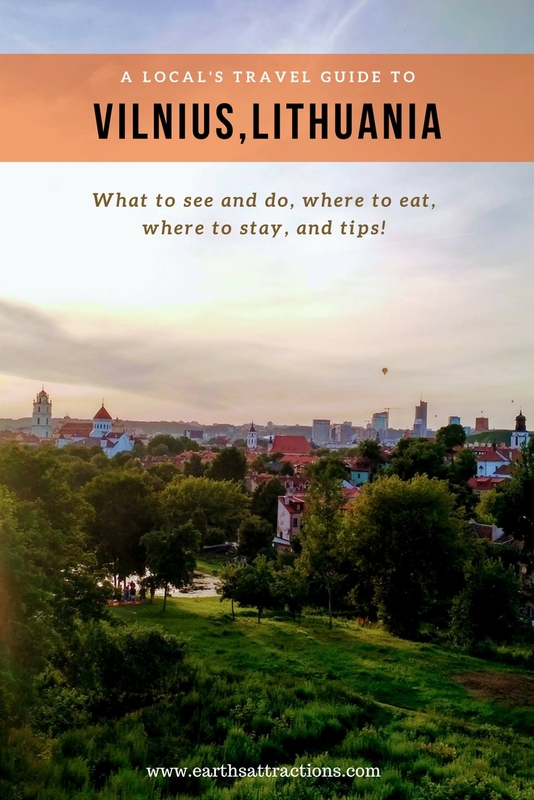 But no local’s travel guide to Vilnius is complete without recommending the best dishes to try while visiting this city. Must-tries are cepelinai (zeppelins) – giant potato dumplings stuffed with meat, and bright pink cold beetroot soup. Absolutely try the latter, if you are here during the summer. It is any instagrammer’s dream food. As a snack, go for fried garlic bread with cheese. Goes perfectly with a glass of cold local beer. For some good authentic food and beer experience, try Leiciai or Forto Dvaras. Lithuanian coffee culture is quite good as well. You can get a surprisingly good coffee in the Crooked Nose and Coffee Stories and a used-book café called Mint Vinetu, and a rather decent one in chains like Hurracan Café, Coffee Inn and Coffe1. As you can see from this local’s travel guide to Vilnius, there are plenty of choices for all budgets and preferences. Safety: Vilnius is generally a safe city, but please be reasonable. While perfectly fine (just less glamorous), I would recommend avoiding certain areas at night, like the districts of Naujininkai, Snipiskes and Savanoriu street. Money: The currency is euro. You can pay by card in most places, and if not, there are many cash machines all around the city. Language: The national language is Lithuanian. It is very common for the young people to speak fluent English, and with the older generation you would be more successful with Russian. Weather: The weather is totally unpredictable. Normally, July is the warmest month, but I remember a July with only one day without rain. Winter temperatures can go from a mild just-above-zero to extreme -20 degrees and sparkling snow. Getting here: We have many low-costs flights coming here. Check WizzAir, RyanAir, Wow-Air and AirBaltic, to name just a few. Vilnius is a perfect weekend get-away city, with the airport close nearby, great culture, nature and gastronomic opportunities, ready to provide entertainment for older and younger generation. 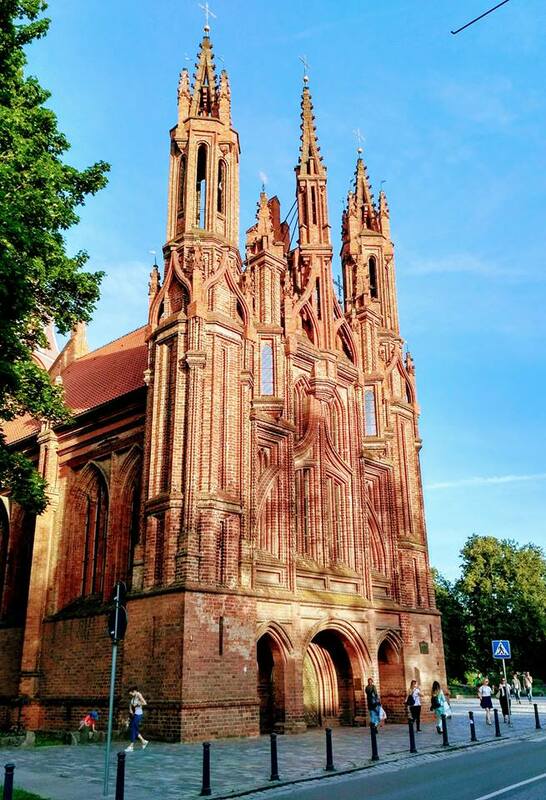 Use this local’s travel guide to Vilnius, Lithuania when planning your trip here and discover the special charm of the city. I’m Ana Rozanova, a Vilnius-loving travel blogger. I lived in many European cities and travelled extensively, and have proved my love to this place by choosing Vilnius above London, Budapest, Strasbourg and Brussels. 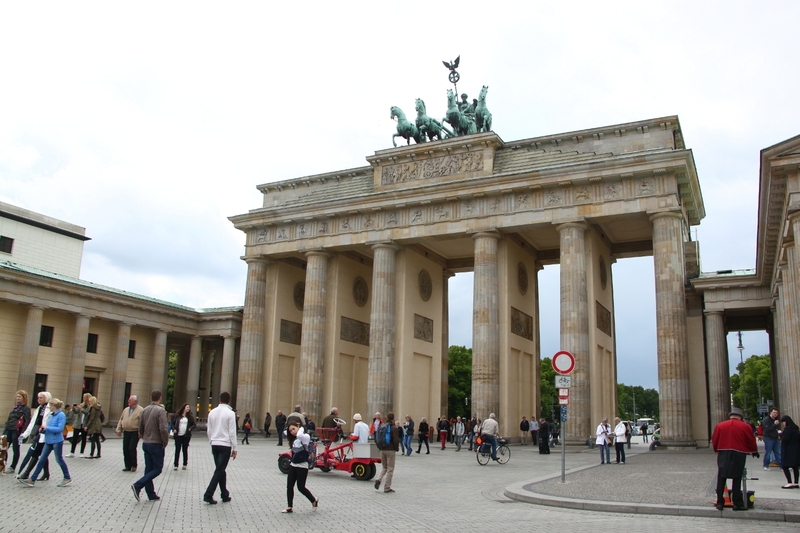 My blog is mostly about our European travels with my husband and our toddler. Follow Ana’s travels on Facebook, Twitter, and Instagram as well.